“I think the unique feature of our hall is the fact that we have so much control over the sound. It’s one of the few halls that I have ever performed in that can sound great with choir, solo guitar, full orchestra, wind ensemble and jazz ensemble or anything in between.” Kevin Mayes, RCC Band and Orchestra Director and Music Chair. “All of the choir directors who attended our choir festival were green with envy for our new hall” John Byun, RCC Choir Director. “The new hall sounded wonderful.” Jasminka Knect, RCC Piano Instructor. “This past May I had the thrill of performing with the RCC Wind Ensemble in their new concert hall. This is a beautiful hall with a most thoughtful design. The entire building is perfect for this program, allowing for growth way into the future and enabling this fine program to effectively reach further into the community. It is an amazing venue.” Larry Zalkind, Professor of Trombone, Eastman School of Music. 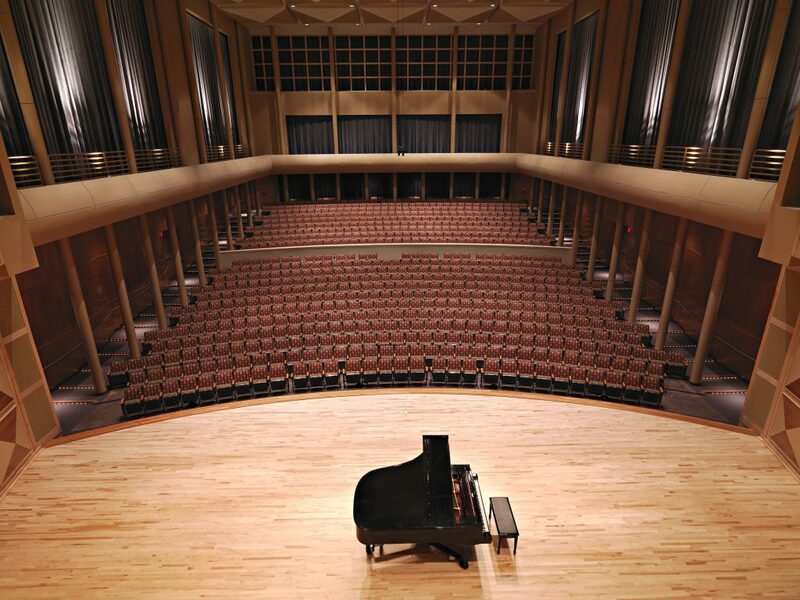 “The RCC Coil School of the Arts Concert Hall is a true sonic gem. I had the pleasure of playing here recently and found it to be one of the most warm and responsive halls I’ve ever played in and I hope to have the chance again in the future. Not only is it great for the performer, it will add great depth to the development of young musicians looking to build their own sound either instrumentally or vocally.” Tom Hooten, Principal Trumpet, Los Angeles Philharmonic. “Wherever in the world the wonderful Shagoian Concert Hall would have been located, it is unquestionably one of the great venues with a seating capacity totaling nearly 800 seats. Aesthetically, I have rarely viewed a hall which exudes such class and good taste. Acoustically, when the Philharmonic and I rehearsed there for the first time the Orchestra had a sound which we had never heard, from ourselves, previously. … Not only does the wonderful acoustic enhance the sound produced by the Fresno Philharmonic but, more importantly, the entire aesthetic of the Shagoian Concert Hall inspires a sense of value and pride in each musician which results in an optimal personal commitment from the entire orchestra.” Maestro Theodore Kuchar, Former Director of the Fresno Philharmonic, in an interview with Fresno Bee Music Critic Donald Munro. 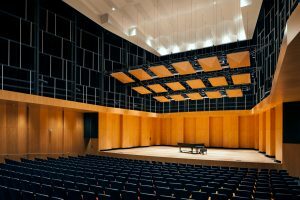 “In my 30+ years of being a professional conductor, and in that time having had the opportunity to perform in the some of the finest music performance venues both in the United States and around the world, the Paul Shagoian Concert Hall designed by Darden Architects, ranks among the very best. … Quite literally, it is sheer joy to perform on this stage. Performers feel “released” into their music-making, the near-perfect acoustic allowing the audience to feel direct and intimate connection to the performers. … From the audience perspective, the sound is no less dazzling. … The Paul Shagoian Concert Hall is a jewel. I hope that I have the pleasure of making music there again.” Dr. René Clausen, Conductor of the Concordia College Choir, in a letter to Darden Architects. 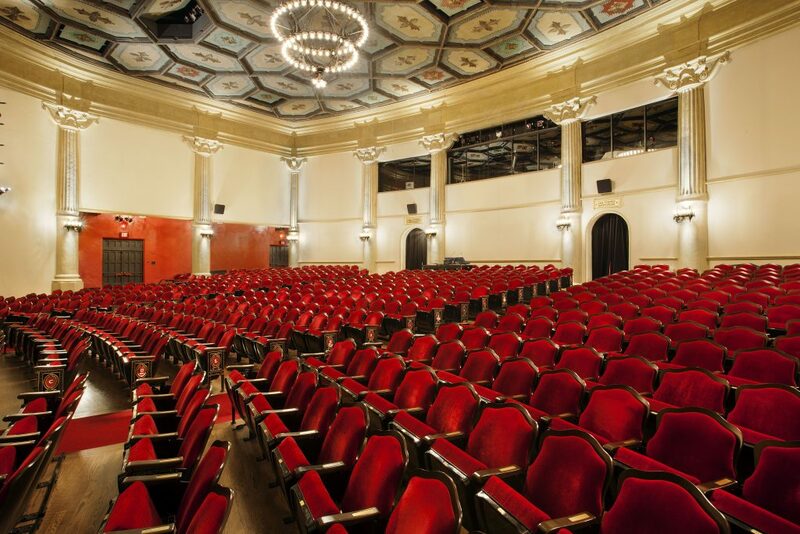 “Bill Dohn was a key member on the design team for the renovation of the historic Lobero Theatre. His experience, commitment and creative thinking guided numerous design decisions that helped solve the many challenges this project demanded, one of which was the addition of an air conditioning system to the nearly 100-year old theatre. Bill Dohn’s understanding of mechanical systems and clear collaboration with the design team helped to ensure that while patrons now experience the comfort of chilled air they do not hear it arriving or departing the auditorium – an important goal inside a theatre!” Dawn Sophia Ziemer, Interior Designer, KBZ Architects. “We have worked with Bill Dohn as Acoustical Consultant for many years at the Lobero Theatre. During the course of several partial building renovation projects, Bill has assisted us in making steady improvements to the acoustics in the Lobero Theatre which was recently recognized as one of DownBeat Magazine’s Best Venues for Jazz. Our most recently completed project was an extensive remodel of the auditorium interior which included installation of ducting and mechanical equipment for new HVAC systems as well as design of removable acoustic panels which can be installed and removed from the auditorium back wall to meet a variety of acoustical demands. To our great satisfaction, the HVAC system is utterly silent within the building and is completely unnoticed acoustically by audience and performers alike. This is no doubt due to the meticulous demands of Mr. Dohn during the design and installation phase of the project. Likewise, the acoustic improvements provided by the new back wall panels were readily apparent to returning faculty of the Music Academy of the West who were universally impressed with their effectiveness.” Todd Jared, Technical Director of the Lobero Theatre. “This place helps us do our work better” Moore Foundation Senior Staff Member. 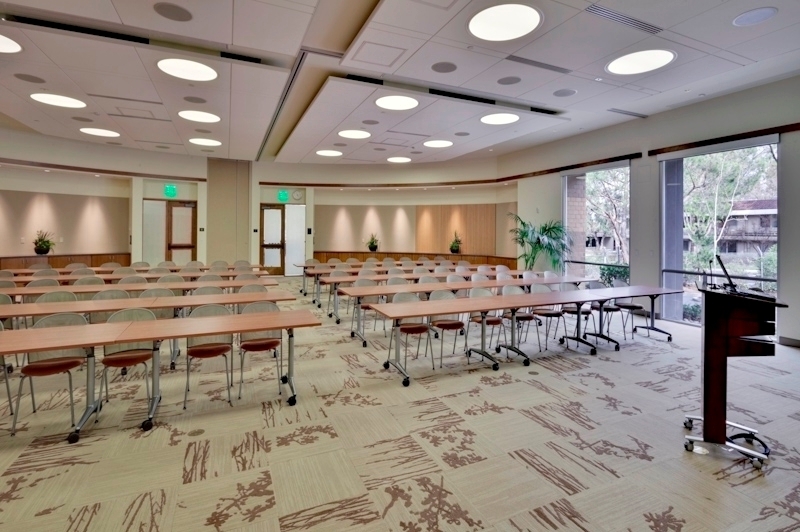 “Bill has a project’s best interests in mind – not only acoustically, but also aesthetically and financially. His input allows us to make key design decisions related to acoustic performance with confidence. He fits right into the team.” Sharon Refvem, Senior Associate at Hawley Petersen Snyder Architects, Sunnyvale, CA.